Duke and Amber Huffman opened Duke's Autobody & Paint May 15, 2005 in our current location in Brule, Ne after moving to the area from Denver,CO in 2003. Duke continues to own and operate the company today! Duke has been performing autobody and paint services for more than 30 years. He has completed numerous training courses necessary to do the best job for the customer, including PPG courses for paint, Chief Framing School, ASE certification, and I-CAR certification. He is a certified estimator and has completed several courses on body shop management. 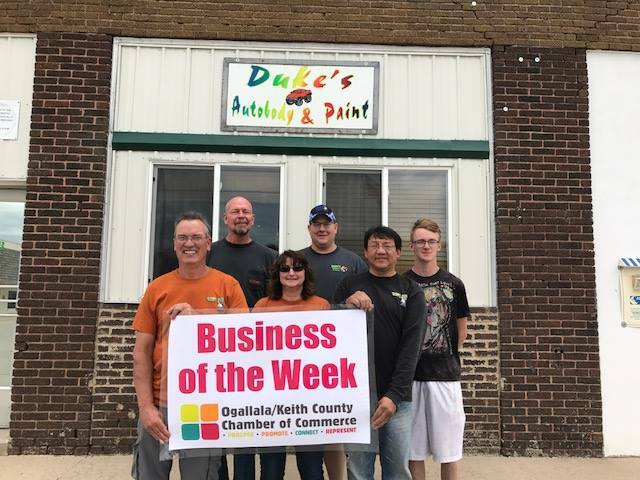 Duke's was recently recognized for Business of the Week! Thanks Ogallala/Keith County Chamber of Commerce﻿!